One of the Top Acting Schools in America – The Actor’s Lab is known for coaching actors, writers, and directors in Hollywood and across the nation. Some of the most recognized names in television and film have trained with J.D. Lewis at The Actor’s Lab, fine-tuning both their craft and their career strategy. Establishing the The Actor’s Lab in 1990, Actor/Director, J.D. Lewis branched out from his Los Angeles origins, and opened three additional studios; one in Santa Barbara, California, one in Portland, Oregon and another in Charlotte, North Carolina. These update often, so please check back! In a fun and friendly atmosphere, teens will learn acting techniques, and also be introduced to the business of acting. 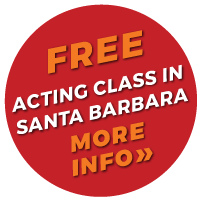 The Los Angeles Actor's Lab is now interviewing for Master Classes – Register Today! Our blog posts serve up a wealth of useful information, and they announce some super cool events!